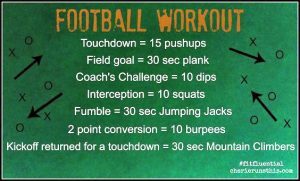 Health and Wellness: Super Bowl Recipes, Tips, and a Workout! Are you ready for some football? Although our Pittsburgh Steelers will not be playing this weekend, many of us will be attending or hosting a Super Bowl party for the food, commercials, and Lady Gaga! Here at ABG Capital, we are not quite ready to give up our healthy New Year’s Resolutions for the big game. As an organization, we focus on creating a culture of health and wellness; for example, check out our other healthy blog posts here! Before this weekend’s festivities, we would like to share with you some ways to stick to your resolutions while still having fun. Health and Wellness: #SuperBowl Recipes, Tips, and a Workout! These are a great alternative to the potato skins, chips or fries. They have just the right amount of protein and fat without all the excess starch and carbs. They’re sure to be a hit at your Super Bowl party. Who doesn’t love chicken on a stick? This recipe packs a lot of flavor while being healthy. They’re also easy to make for a big crowd as they can all be marinated and grilled easily. If these recipes aren’t enough for your party, check out this list of 20 Healthy Super Bowl recipes from Pinterest! Another source of calories on game day comes from your drink choices. If you can’t possibly have fun while drinking water, here are some suggestions. If you’d rather keep it simple try to stick with flavored vodka, water, and ice or diet coke and rum. Lastly, get off the couch! 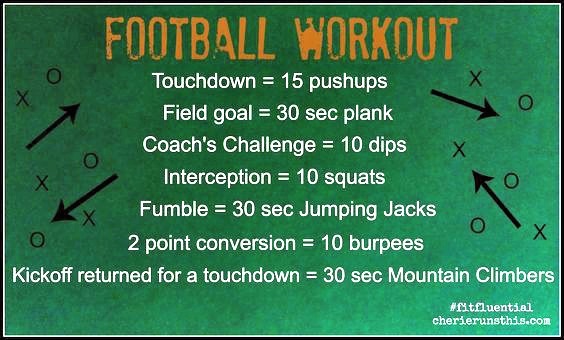 Use this football workout to get your exercise during the game! Do you have a favorite game day recipe or cocktail? Will you be trying to lighten them up? If so, share your suggestions in the comments. 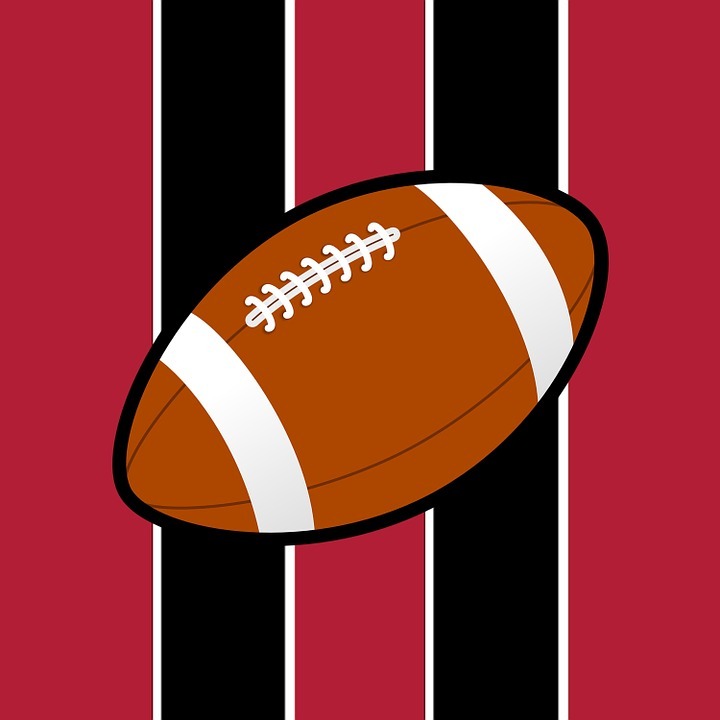 This entry was posted in Health and Wellness, holidays, small business and tagged football workout, Healthy Recipes, super bowl by Lea Steadman. Bookmark the permalink.